Martine LeDuc, my series protagonist, is head over heels in love with Montréal— which is a good thing, since she’s the city’s PR director! Here are some reasons why Martine loves Montréal… and why you might, too. 1. The Food. Martine loves to eat, and Montréal has enough choices to keep her happy. Whether it’s a corner diner featuring local favorites like poutine (according to Martine, their “unique contribution to the hardening of the world’s arteries: crisp French fries, mixed with cheese curds and smothered in chicken gravy. It’s horrible. It’s heavenly.”) or elaborate dinners at l’Orignal with fresh high-end game, fish, and oysters, Martine happily eats her way from quartier to quartier. And you will, too: it’s the best French food outside of France (some would say even better); be sure to try the Breton crêperies, and eat pasta in Little Italy, smoked meats at Schwartz’s, noodle soups in Chinatown—there’s something here for every taste. Martine says that Montréal’s bagels are better than New York’s! 2. The Neighborhoods. Montréal is literally a grouping of villages, and each area retains its own distinctive vibe. The Old City beckons with cobbled streets, galleries and museums, and waterfront delights; Gay Village is vibrant with dance clubs and antique shops. The plateau is hip and funky, with wrought- iron staircases, old-style stone masonry, and bohemian undercurrents. Go to little Italy for exceptional cappuccino, soccer mania, and simmering sauces. Hochelaga-Maisonneuve offers wide-open green spaces like the Parc de Maisonneuve, plus attractions that appeal to all ages (Martine takes her stepkids to the Insectarium in the second book). Downtown is all business, until you see that the high-rises are complemented by hidden small parks and unexpected churches. And above it all, rising up majestically in the middle of the city, Mount Royal is Montréal’s symbol: name, heritage, geography, and inspiration all in one. 3. The Languages. While French is Québec’s official language, nearly everyone in Montréal speaks English, and shopkeepers greet you with “Hello, bonjour!” so it’s up to you to decide what language to use in response. There are libraries and bookshops catering to each language (as well as many of the others spoken in this city of immigrants); films, plays, lectures and entertainment in both English and French. Martine is herself a preferential French speaker; her husband, Ivan, comes from Boston, and while his French is good, they speak mostly English at home. Sometimes the languages mix. It gives the impression of being in two cities at once … as, in a way, you are. 4. The Festivals. Martine insists that it’s part of her job to attend them all, and who wouldn’t want to? It doesn’t matter what time of year it is: Montréal has over 100 festivals devoted to music, comedy, food, fashion, and more. Besides the well-known international festivals (Festival International de Jazz de Montréal, Just for Laughs Comedy Festival, FrancoFolies, and the Grand Prix du Canada, a Formula 1 Grand Prix race), Montréal has a calendar brimming with events to celebrate: an igloo festival, a literary festival, an African music festival, the Arab world festival, a blues festival, an LGBT festival… the list could go on for pages. Come and find out for yourself! 5. The Culture. It’s a cosmopolitan city with four major universities, 59 museums, and amazing diversity in language and customs. Hundreds of authors live here, and there’s a vibrant indie music scene, along with major concert venues that produce the symphony orchestra, chamber music orchestra, metropolitan orchestra, and two opera companies. There are three major ballet companies and a score of smaller ones; theater is everywhere, from the streets themselves to Broadway musicals to serious existentialist plays in black box theaters. Walk down any of the main streets on the Plateau and listen to the chatter in the cafés: likely as not, they’ll be discussing politics or philosophy or literature. It’s clear why Martine loves her city—and why you will, too. Montréal offers the best of both worlds, the old and the new, and is a source of constant delight for my protagonist, her family, and our readers. Why not plan your visit today? 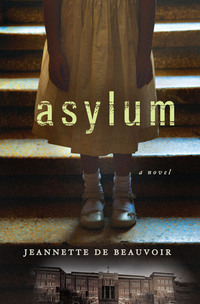 Jeannette de Beauvoiris an award-winning author, novelist, and poet whose work has been translated into 12 languages and has appeared in 15 countries. 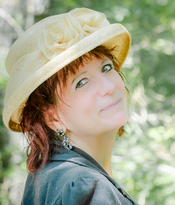 She explores personal and moral questions through historical fiction, mysteries, and mainstream fiction. She grew up in Angers, France, but now divides her time between Cape Cod and Montréal. Martine LeDuc is the director of PR for the mayor's office in Montreal. When four women are found brutally murdered and shockingly posed on park benches throughout the city over several months, Martine's boss fears a PR disaster for the still busy tourist season, and Martine is now also tasked with acting as liaison between the mayor and the police department. The women were of varying ages, backgrounds and bodytypes and seemed to have nothing in common. Yet the macabre presentation of their bodies hints at a connection. 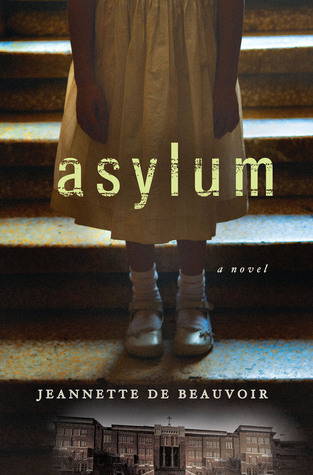 Martine is paired with a young detective, Julian Fletcher, and together they dig deep into the city's and the country's past, only to uncover a dark secret dating back to the 1950s, when orphanages in Montreal and elsewhere were converted to asylums in order to gain more funding. The children were subjected to horrific experiments such as lobotomies, electroshock therapy, and psychotropic medication, and many of them died in the process. The survivors were supposedly compensated for their trauma by the government and the cases seem to have been settled. So who is bearing a grudge now, and why did these four women have to die? Ah, Jeannette!! Here I was going to tell you in my comments that you should get a job with the Mayor's office, since you do such a good job pitching the fine points about Montreal, that I was ready to grab my purse, and run out the door for the car!! Then I read the synopsis about the book, and went - oops!! Maybe you don't want that job!! lol Montreal sounds like a wonderful place to visit, and your book sounds like a great read. I think I'll start with your book, and save my pennies, so that I can really enjoy your City and all it has to offer. Thank you for coming here today, and letting us know about your part of the world, as well as your book. I'll be looking forward to both! !